1. On September 9, 2018, Master Chief Melvin Kealoha Bell (USCG ret.) crossed the bar at the age of 98. He was a patriot whose career in service of his country spanned 65 years. 2. A native Hawai’ian, Bell was born in 1920, in the city of Hilo. In 1938, he enlisted in the Coast Guard and began his career on board cutter TANEY as a mess attendant, a rate commonly reserved for minorities at the time. In 1939, he struck for the rate of radioman and on Sunday, December 7, 1941, the day the Japanese attacked Pearl Harbor, he transmitted the first radio messages warning of the enemy attack. For the rest of the war, Bell served in Naval Communications Intelligence and helped break the Japanese Imperial Navy code leading to important U.S. Naval victories, including defeat of the Japanese fleet at Midway Island in June 1942. During his active-duty career, Bell blazed a trail for minorities in the Service, especially Pacific-Island Americans. In November 1958, he became the first master chief of his rate and the first minority master chief in the Coast Guard. 3. In 1959, after 20 years active duty, he retired and became a civilian employee of the Coast Guard and, later, with the Department of the Navy working in the field of submarine-launched ballistic missiles. In 2004, he retired at the age of 84 with a combined record of 65 years military and civil service and he was recognized by President George W. Bush for one of the longest terms of federal service in U.S. history. Mr. Bell is survived by his beloved wife of 68 years, Norine Hamlin Bell, as well as eight children, 27 grandchildren, 50 great-grandchildren and three great-great grandchildren. He was preceded in death by son Melvin Kealoha Bell, Jr.
5. Master Chief Bell will be laid to rest with military honors at the National Veterans Memorial Cemetery, in Riverside, CA, at 2:25pm on Monday, October 1, 2018. 6. RDML Melissa Bert, USCG, Director of Governmental & Public Affairs, sends. Paul S. Johnson, 82, of Willow Street, passed away peacefully early Sunday morning. He was married to Rosemarie B. Johnson, with whom he celebrated 58 years of marriage in October. Born in Lima, NY, he was the son of the late Orange B. and Jeannette S. Johnson. Paul graduated from Bloomfield (NY) High School in 1952. He retired from the U.S. Coast Guard as Chief Warrant Officer 4 after serving for 24 years. Paul received a bronze star for second National Defense Service Medal and a unit commendation for service at the support center, Brooklyn, NY from 1967-1968. He continued to work with the Coast Guard by designing and manufacturing various electronics products until his passing. 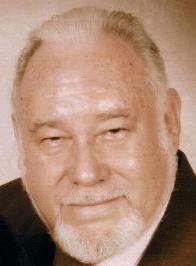 My father, Jack K. Morrison, ETCM (ret.) --a Loranimal-passed away on February 8, 2017. He appeared to have an active account with this website, which is why I am contacting you. Also, I am hoping you will be able to help get the word out to his fellow servicemen and women. Dad loved his time at Port Clarence and Iwo Jima, and in serving the Coast Guard! Please let me know if there is a website, or e-mail I can contact to let them know of my dad's passing. Mr. Jack Morrison, of Regis Road in Saukville, passed away peacefully at his residence Wednesday, February 8, 2017. He was 73 years old. Jack was born in Buffalo, NY on November 10, 1943, son of John and Laura Woodward Morrison. Following his schooling, Jack enlisted in the US Coast Guard. Mr. Morrison was united in marriage with Margaret Downs in 1967 while stationed in Michigan. The couple moved to Saukville in 1980 with their two children. Jack retired from the Coast Guard in 1985 after achieving the rank of Master Chief Petty Officer, and then became involved with the Ozaukee County Water Safety Patrol. He was a very active member for 25 years. Mr. Morrison worked as the Emergency Management Director for the Village of Saukville, a position he held for the last 10 years. He was a member of the Saukville American Legion Landt-Thiel Post 470 and Living Hope Lutheran Church. 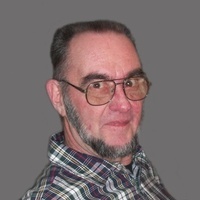 Jack enjoyed woodworking- frequently making yard projects for family and friends- and model ship building. Recently, he liked taking long car trips and had been planning a driving trip to Alaska. He was a familiar face at the local YMCA, often competing with others in friendly competitions. He was passionate about serving his community; whether as a Coast Guardsman, Captain Jack of the rescue boat, or working with the Village of Saukville. Above all, Jack treasured his granddaughters, and the experience of being a grandpa. Mr. Morrison is survived by his children, Jack “Ken” Morrison II of Saukville, Dawn (Nick Josefik) Morrison of St. Joseph, IL, granddaughters Noel and Eden Josefik, also of St. Joseph, IL, and brothers Thomas (Bernie) Morrison of Washington Court House, OH, James (Carol) Morrison of Senica, SC, Daniel (Colleen) Morrison of Dayton, TN and David (Pam) Morrison of Akron, NY. He is further survived by nieces, nephews, other family and many friends. Jack is preceded in death by his parents. Funeral Services will be held at 5PM on Saturday, February 11th, at the Eernisse Funeral Home, 1600 W. Grand Ave., Port Washington, followed by military honors. Pastor Kimberly Jordan will preside. The family will receive visitors at the Funeral Home on Saturday from 3-5PM. In lieu of flowers, memorials are suggested in Jack’s name to the Feith Family Ozaukee YMCA or to the Ozaukee County Humane Society. Jack was my friend and mentor. 76, of Honolulu, died in Honolulu on Monday, January 9, 2017. He was born in Chicago, Illinois. Private services. I first met VK during a phone call I made to D14(eee) back in 1983. We chatted a bit about a topic that slips my mind now, but it probably was Loran related. We renewed our conversations with the irradiation issue and VK made numerous contributions to this site as well as passing the word about radiation to his personal network. Fairwell and following seas my friend. cer of Loran C Transmitter Station in Hobe Sound, FL. He leaves to cherish his memory wife, Mary Margaret, Horace Wayne (Linda) Bachtell, Felda Louise (Greg) Ballentine, Noel Leon (Mary) Bachtell, Teresa Gail DeMaster, grandchildren, Justin DeMaster, Aaron, Dakota and Courtney Bachtell, Christina Horner and great granddaughter, Lauren Horner. His furry family includes Missy, Maggie and Bear. The family is asking friends to donate pet food to any area Humane Society in his memory. Please visit www.lankfordfuneralhome.com to leave a message for the family. My father was a proud member of the Coast Guard and enjoyed the on-line communications and the reunions. Morris "Mo" Lewis, 89, of Lexington, formerly of Russell, passed away Wednesday, April 20, 2016 at his residence. Mo was born December 10, 1926 in Allentown, Pennsylvania to the late Louis Joseph Lewis and Helen Glick Lewis. In addition to his parents, Mo was preceded in death by his loving wife of 58 years Janice Irene Sellers Lewis in 2012. Mo proudly served his country during World War II as a Radioman, third class with the United States Coast Guard, Loran Station on Atafu, in the South Pacific. He later attended Ohio State University where he was a cheerleader. Throughout his life Mo was an avid golfer; also a member of the Bellefonte Country Club for many years. He loved to work out and visit with his friends at OLBH Vitality Center. Mo also had many interests in his life including Model Railroading, Stamp Collecting, Coin Collecting, and Photographing landscape and architecture during his travels. Mo was very civic minded and was a member of the Ironton Rotary Club, KYOVA Traffic Club President, as well as, Chairman of the United Way Campaign, and a Kentucky Colonel. Mo retired as a Trainmaster with Norfolk Southern Railways. Survivors include his two daughters, Cynthia Allen and Julie Lewis, both of Lexington; a granddaughter, Hannah Allen of Lexington; two special caregivers Donna Warfield and Brenda Commodore, both of Lexington; along with a host of extended family and friends. Graveside services will be conducted at 2:30 Monday, April 25, 2016 at Bellefonte Memorial Gardens in Flatwoods with Rabbi Jean E. Eglinton officiating. In lieu of flowers, donations in Mo?s memory may be made to a charity of your choice. Online condolences may be left at www.canifffuneralhome.com. 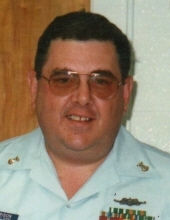 RAYMOND H. DOLAN , 64, of Mountain Top, died Sunday, August 15, 2010, at the Hampton House Nursing Center, Hanover Township. Born in El Paso, Texas, he was a son of Raymond and Mary McPherson Dolan. He was a veteran of the U.S. Army and U.S. Coast Guard in Vietnam. He was a member of St. Mary's Church of Our Lady Help of Christians, Dorrance. He is survived by his wife, Clara Dolan; a son, SSG Peter Dolan, South Carolina; a daughter, Kathleen Wilson, Duluth, Minn.; one sister, Mary Parker, Minneapolis Minn.; and two grandchildren. A funeral will be at 10:30 a.m. Wednesday from the Desiderio Funeral Home Inc. 436 S. Mountain Blvd., Mountain Top, with a Mass of Christian Burial at 11 a.m. at St. Mary's Church of Our Lady Help of Christians, Dorrance. Interment parish cemetery. Friends may call from 5 to 7 p.m. Tuesday at the funeral home. George L. Meyers Sr. passed away peacefully in his home on August 2, 2017 surrounded by his family; wife Anastasia Meyers of seven yrs, Kathleen Wolfe former wife and mother of his four children, Sharon, Tammy, Denise and George Jr. He has twelve grandchildren and three great grandchildren. Son of the late George H. & Delores E. (nee Sipes) Meyers. Brother to Dee, William, Leslie and Cheryl. Many nieces and nephews. Service with full military honors to be held at Arlington National Cemetery in the spring, date to be determined. In lieu of flowers send donations to www.baltimorestation.org in honor of George L. Meyers Sr. and all of our country's veterans. Melvin Pulsifer, 80, of LaMoure, ND took his last earthly breath on Monday, December 10, 2018 at St. Rose Care Center, LaMoure. 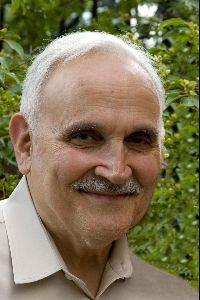 Melvin Arnold, born on May 6, 1938 to Max and Marian (Campbell) Pulsifer at Mechanic Falls, ME. Melvin was a man dedicated to service. He dedicated 30 years of his life to the service of his country in the United States Coast Guard. During this time he saw all areas of the world including; Cape Cod, Massachusetts, Seattle, Washington, Tok & Kodiak, Alaska, and the Aleutian chain, Hawaii, the Philippines, Iwo Jima in Japan, Antarctica, Australia, Germany and Africa. 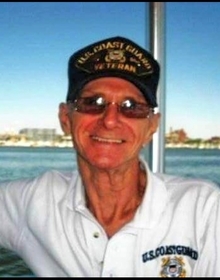 He exhibited the depth of his dedication to the United States by demanding to stand, even though wheelchair bound, upon hearing the USCG anthem just weeks before his passing. He is survived by his wife, Nancy; 2 daughters, Catherine (David) Heyd of LaMoure, North Dakota and Adele (Bill) Heath of Fairbanks, Alaska; 2 stepsons, Lee (Julienne) of Apex, North Carolina and Rex (Christine) Johnson of Minot, Maine; 8 grandchildren who he affectionately called the wrecking crew and 4 step-grandchildren; 1 sister Sharon Leadbetter of Yarmouth, Maine; 1 brother-in-law Anthony (Kay) Perrone of Pawcatuck, Connecticut; and many nieces and nephews. He was preceded in death by his first wife, Josephine, and his parents. There will be a gathering of family and friends on Wednesday, December 19, 2018 from 1:00-2:00 p.m. followed by his memorial service at 2:00 p.m. at the Church of the Nazarene, LaMoure. Burial will take place following the service at Rosehill Cemetery, LaMoure.